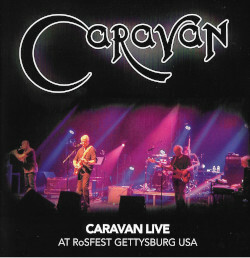 Caravan resume activities in anticipation of a one-off concert recording at Metropolis Studios for ITV, including two new songs (“Fingers In The Till” and “I’m On My Way”). Mark Walker replaces Richard Coughlan (who is still unwell) on drums and percussion. This entry was posted in News on December 1, 2010 by caravan.